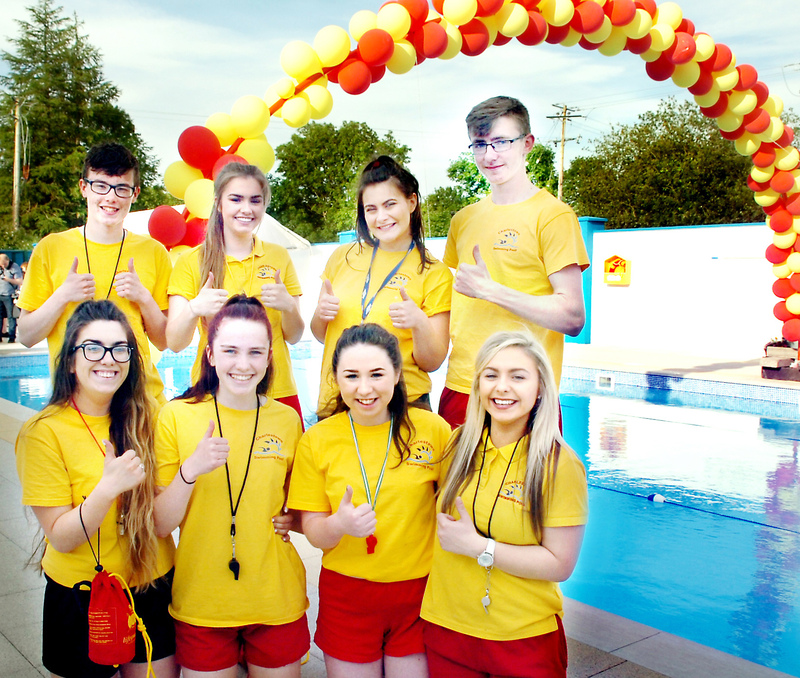 Charlestown’s Swimming Club’s Lifeguards gave their “thumbs-up” at the official opening of their club’s community new outdoor heated swimming pool. Included at the official opening by newly-appointed Minister for Rural and Community Affairs Development Michael Ring TD were delighted swimming club lifeguards front from left, Annie Mae Doherty, Caoimhe Halligan, Michaela McEntire and Abaigeal Doherty – back from left, Jack Pilcher, Chelsea Doherty, Aisling Finn and David Doherty. Picture Henry Wills.